Whether you are hoping to bail yourself out of jail or you are working on getting your loved one back home, hearing the bail amount set by a judge can be like getting punched in the gut. Perhaps you are looking at a number as high as $10,000 or maybe even more. Maybe your bail isn’t set that high but you are someone who lives paycheck to paycheck and any amount is too much for you to afford. 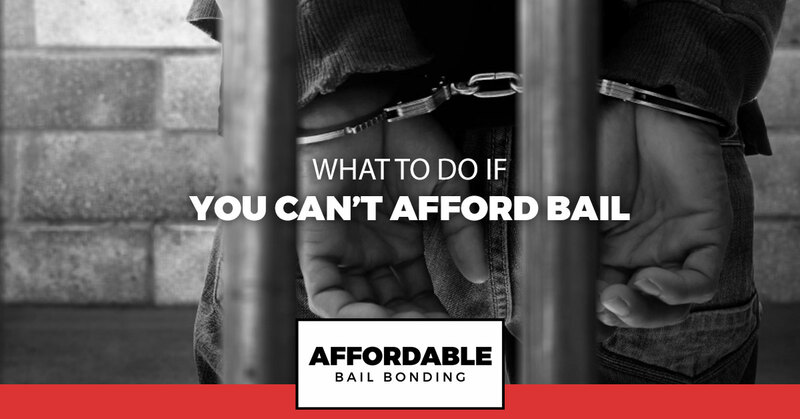 While it can feel like a hopeless scenario, there are options when you can’t afford bail. As your local bondsman in Salem, VA, we are here to assist you when bail is out of your reach. 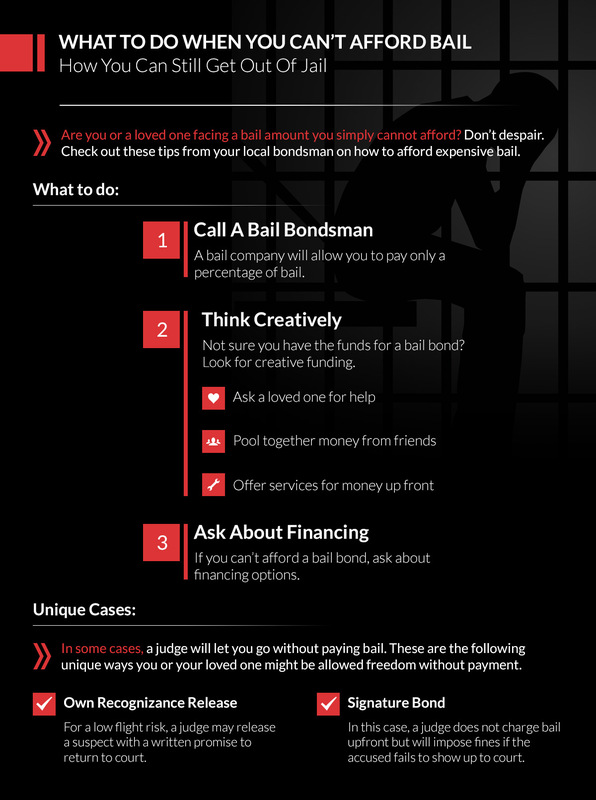 Check out these tips for paying bail and reach out for our help night or day. First off, it is important to note that bail is an amount the judge requires to ensure that the accused returns to court for their trial. When someone is considered a high risk, their bail amount will be set at a higher amount. Once the bail amount is paid, the person is released. The only way to get the bail money back is to return to court. In some rare cases, a judge will let you go without paying bail. These situations will only apply for people who are considered a low flight risk. For example, if someone has a clean criminal record and committed a small crime, the judge might deem that they are not much of a flight risk and allow them to go on one of two conditions. In this scenario, a judge may release a suspect with a written promise to return to court. This situation will only apply to someone that has good standing and has been deemed as an extremely low flight risk. In this case, a judge does not charge bail upfront but, instead, the accused must offer a written promise to return to court with a monetary penalty if they do not do so. In this way, it is almost a reverse bail. Rather than paying bail to the court up front and receiving it back when they show up for their trial, they will owe money if they do not show up. While these two scenarios are ideal for someone who is tight on funds, they are not the norm and are difficult to secure. If you or your loved one already had a bail amount set, then it is best to move on to the steps below. While the amount of bail set might be out of your financial reach, a bail bondsman can help make posting bail affordable. Instead of paying the full amount of bail, you will pay a fee or percentage of the bail to a bondsman. In the state of Virginia, you will pay the bondsman around 10 percent of the bail amount. The bondsman will then post the rest of the money on your behalf. In exchange for this service, the bondsman will keep the percent they charged you when they receive the bail money back. Offer future services for money up front if you have a viable skill set such as carpentry, landscaping, etc. Not able to afford bail? Our bail bonds company makes bail affordable. Talk to us about our financing options today and work with a trusted Salem bondsman to get out of jail fast.